Jim Ristau, an experienced biologist and conservationist who grew up on a family farm, joined the South Dakota Corn staff in 2016 as director of sustainability. He works with farmers on conservation programs, performs public outreach, conducts research trials and presents field demonstrations. 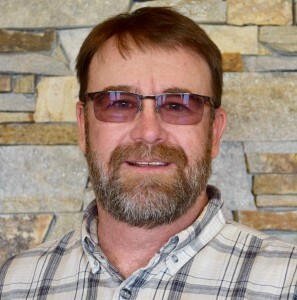 Ristau is South Dakota Corn employee but is stationed at Natural Resources Conservation Services offices in Chamberlain and Huron through a partnership that’s the first of its kind. He said he looks forward to promoting and implementing best-management practices and spreading a positive conservation message throughout the state. Before joining South Dakota Corn, he worked as a farm bill biologist for Pheasants Forever since 2004. In that role, he worked with the U.S. Department of Agriculture and wildlife organizations. Before that, he spent seven years as a habitat specialist with the South Dakota Game, Fish & Parks Department and 10 years working in the private sector. Ristau is a South Dakota State University graduate. He and his wife, Karen, have five children.